This never gets old for me, watching the balloons fill up and take off for flight. It's something I look forward to each and every year. and stretch their balloons out flat, to get ready to fill them with air. When all of the balloons are up, it's really nice to see them standing side-by-side, waiting for the okay to lift-off. Each of us has our favorite balloon, and is happy to see it in the crowd each year. And when they get the okay to start lifting, it's really very exciting. Usually one will go first, and then in a few minutes, they'll all start to go at once. It's really quite the sight to see. They're in town a few days here when they come. We always go for an early morning lift-off, and then once more for an evening launch. The one pictured here was from an evening launch. There was also a live band, and the park nearby for the kiddos to play (and boy, did they play). It's nice seeing the park so full of kids too. It's just a happy event, and I love that they come close enough to our town, that we can easily head on over for a visit. Do you have balloons come to your area each year too? You are braver than I. I'd have gone up in my youth, these days I'm getting a little more careful. Not sure I'd go up in a balloon. I'm 60/40 (60% yes). That is an amazing sight to see! I'd love to watch and take many pictures. I'm too spooked to be in one, though!! Good to frame some of those!!! I love to watch then too. I'd be scared to be in one, but watching them is fantastic. Oh how wonderfully fantastic to watch. What a thrill that must be to see all that color taking off to the sky. You're so lucy to have that as an annual event. We see a few but not in one spectacular swoop. When I see them I always think of "Around the World in 80 Days." Hey Lucy...haha I should put my glasses on when I type.... even then things turn out Lucy. 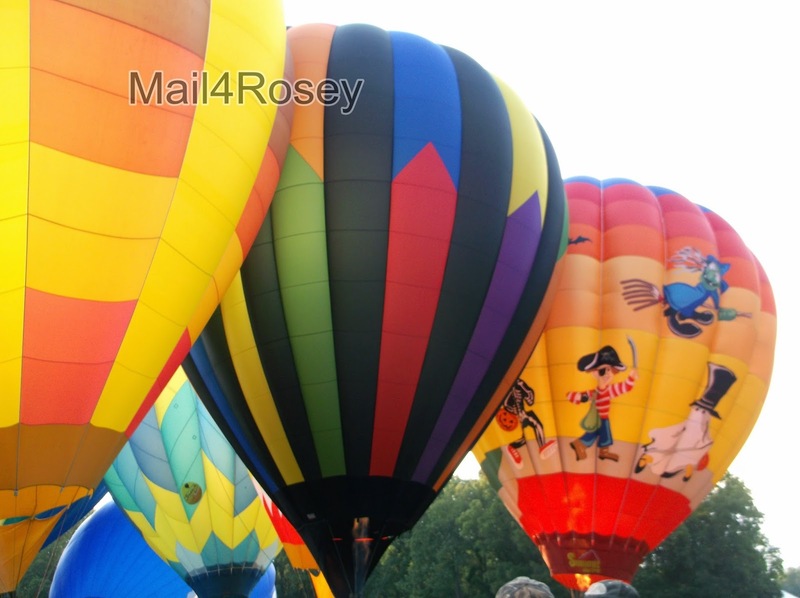 I love those hot air balloons - would love to ride in one - you? Oh yes. We have them, and I am a balloon tragic. I go every year - despite the fact that ours only lift off before dawn. Magic. And they are magic to ride in as well. My backyard backs up to Frankenmuth so every year we get to watch the hot air balloon festival without the headache of all the tourists. Sometimes they are so close in our yard it seems like we can reach out and touch them. People wave. Its pretty amusing. No way! You've seen this? Have you ever gone in one? I'd love to take a ride in a hot air balloon at some point. It looks like so much fun. We used to watch them take off in the dessert north of Phoenix! Its such a beautiful sight, although I think I would be a little afraid to float in one. I love watching the hot air balloons. They are so beautiful! I have no desire to go up in one though! 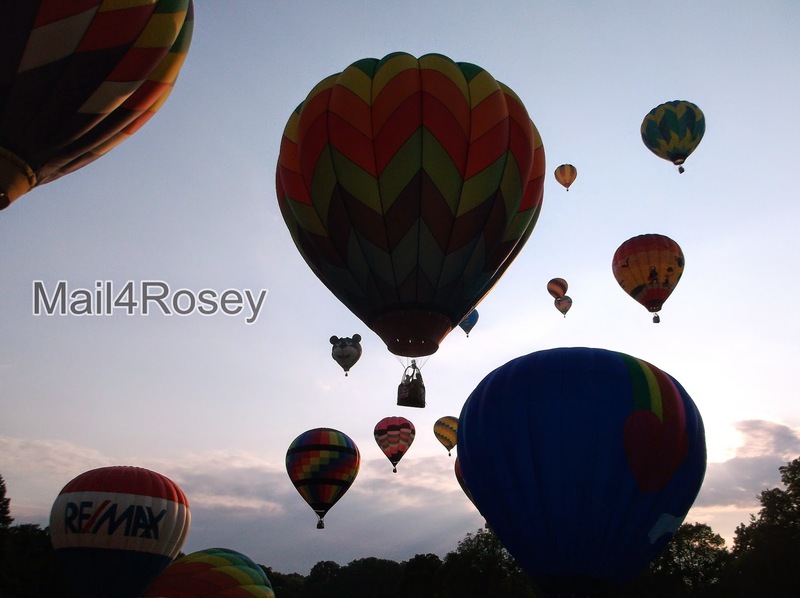 I love hot air balloons! 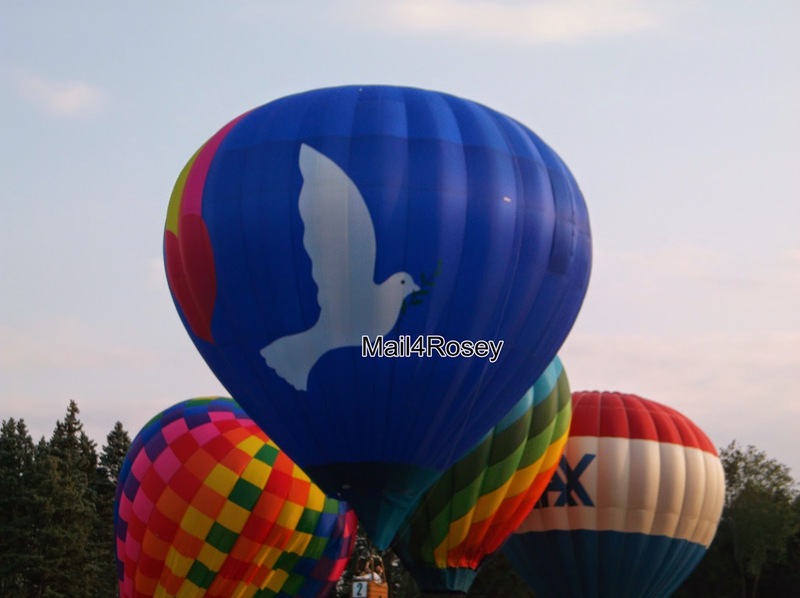 We went to the Balloon Festival in Albuquerque one year and it was so much fun! That's so pretty! I'm scared to get in one though!! 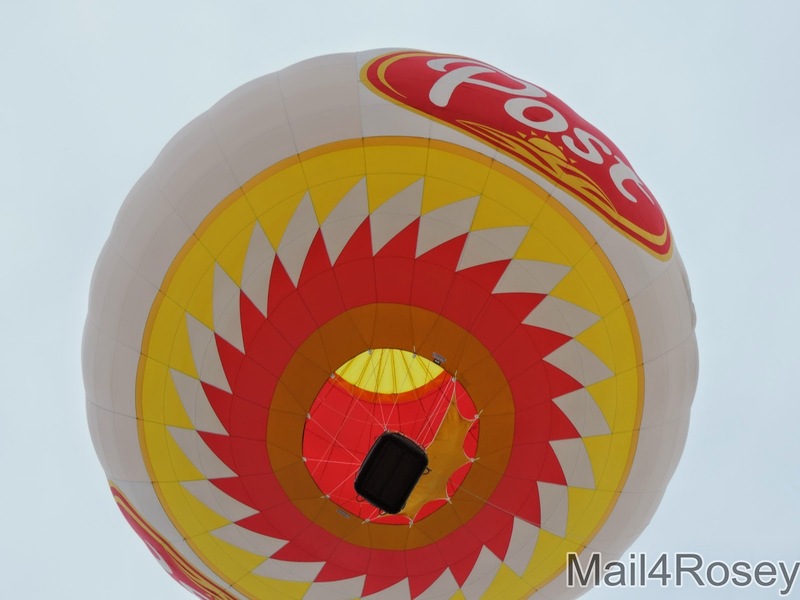 Hot air balloons are fantastic! I've always wanted to take a ride in one. I think I may be too much of a chicken though they are beautiful to watch! We have a festival that happens around Labor Day here and I can't wait to show my toddler since she's never seen it. Thanks for sharing your photos, you got some great shots. One day I'd love to go on a hot air balloon ride!! I would imagine it to be such an experience! It's always fun to see the hot air balloons take off! I have never been in one myself, and not sure if I would, but it's something Jason has talked about doing at some point. I have never been in a hot air balloon. It is something that is on my bucket list. That is beautiful. We don't have them in our area but my brother does up in the Minneapolis area. We have watched them there several times. How fun was that. 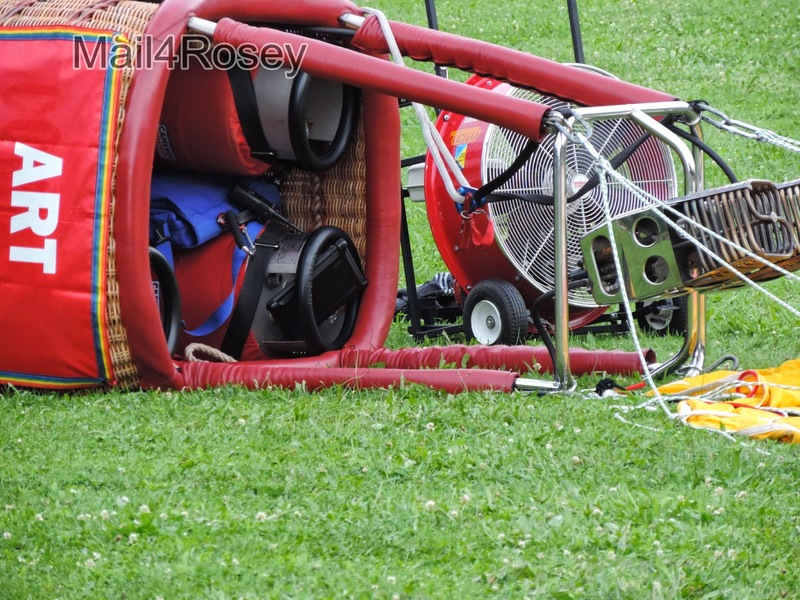 I've ridden in a hot air balloon before and it was amazing! My mother was given a hot air balloon ride as a present a few years ago. We've been excited about using it. That would be so neat to watch...from the ground! My son loves these events! I love looking at hot air balloons. your pics of them are so amazing Beautiful. Very neat photos. 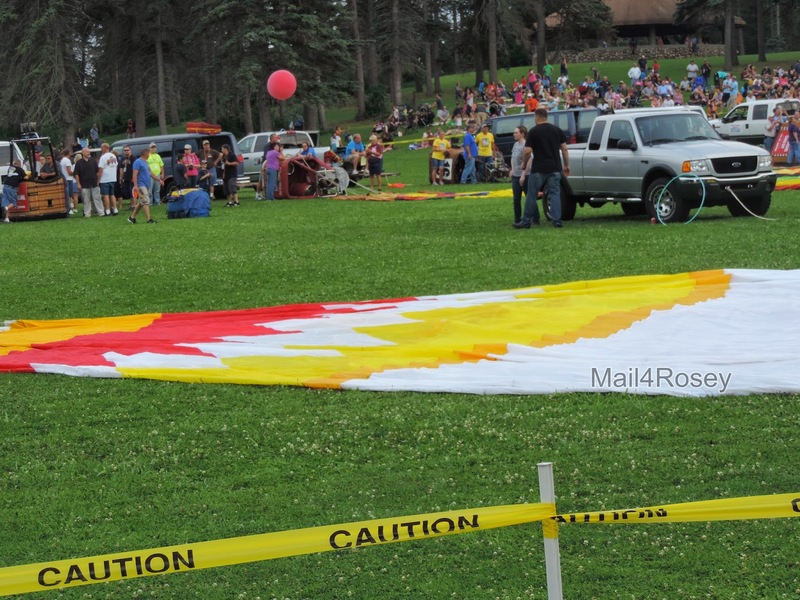 I have never seen hot air balloon take off or land before. I am too afraid to go up in one. I would love to go on a hot air balloon ride one day! So colorful and fun! I don't know if we do. It looks fun to watch them. I don't know about riding them. I'm a chicken sh*#! I've always wanted to ride in a hot air balloon! I think it would be totally cool but super scary!! We have this here in my town too! It's called the Reno Hot Air Balloon races. I've never gone to see them but maybe this year I will try and go to experience something new. I have yet to ride in a hot air balloon but I would love to sometime. Michigan is gorgeous in the fall with it's leaves and colors. I bet that would be a lovely time to take a ride. I've always wanted to ride in a hot air balloon... one of these days! Great photos. No hot air balloons near me. Have always wanted to ride in one. Love the pictures. There is a balloon-fest that comes to my area, and while I've been unlucky to miss it the past couple of years, I'll be sure to catch it this season. I love hot air balloons. I'll never ever EVER fly in one, but I do love them. I'll never fly in anything, though. If I can't get to a place by car or boat, I don't need to go there that badly. This is an experience I would love to have but my wife is terrified of "thrills". That would be a great thing to see and to photograph. I've always wanted to experience also flying hot air balloons. They look so cute in different designs and colors. How fun! We used to have an event like this where I grew up. Another time, we even had a hot air balloon land in our backyard! 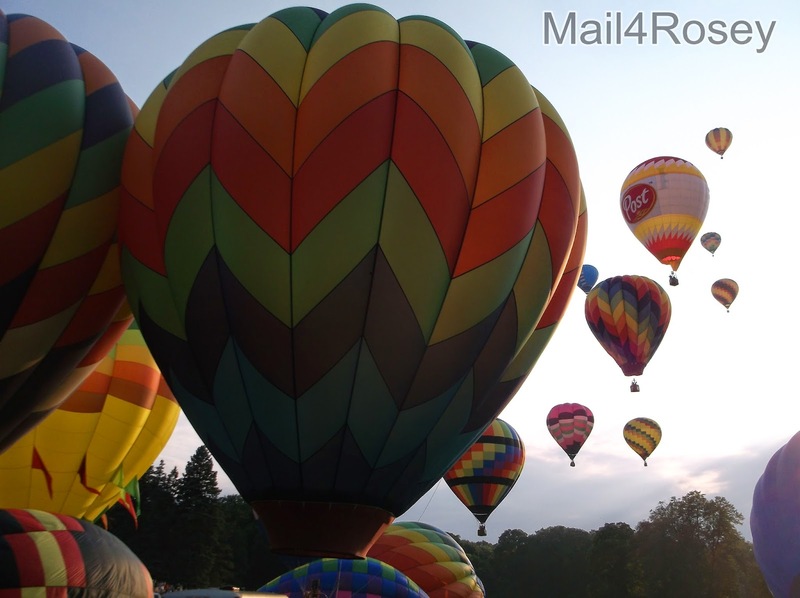 I love hot air balloons and would love to ride on one. It is definitely a bucket list. I've heard of these hot air balloon festivals before, I've always been afraid to ride them because I don't feel comfortable with going that high up in a balloon. There's one in Pampanga which is 3 hours away you can ride the hot air balloon fot $50 for 30 minutes. I don't want to ride it as I am scared of heights. i have never been on a balloon, but i def love to..
Oh how fun! That looks like an incredible time had by all! I like to watch these and think it would be fun to go up in one at some time, though I'd be a little nervous! We also have hot air balloon festival here in our country but I haven't watch it live. I'm sure it's full of fun! I love hot air balloons. Thanks for sharing your beautiful photos! I don't think I could go up in a balloon. I am to afraid of heights. Thanks for sharing. hate to say it - but totally jealous of you for this..
That sounds soooooo fun! I think they have a festival on the eastern side of the state, but I haven't gone yet. I want to go though! We have a hot air balloon festival every year. We can see them over the city but I do hope to bring my kids to the actual festival one of these years. They are so pretty when they light up the sky. I loved my ride in one a few years ago. I do not think we have them here but maybe they do. Looks like something fun to see. That looks like such an amazing experience! Unfortunately, I'm terrified of heights, so I'm not sure if I'd actually be able to do it! hot air balloons are totally on my bucket list!! Looks so beautiful must do it soon!! They are beautiful. I totally need to bring my kids to an event where so many take off. It is breathtaking. I used to see hot air balloons all the time when I was a child in WI. Not so much anymore but one day I'd love to go up in one! Oh this is just so beautiful Rosey!!! I wish we had something like this in Columbus... sigh. LOVE! i would love to see one of these events! Thanks for sharing with the Thursday Blog Hop! I have seen hot air ballon and wish i would roam in that.. but for now i can't. 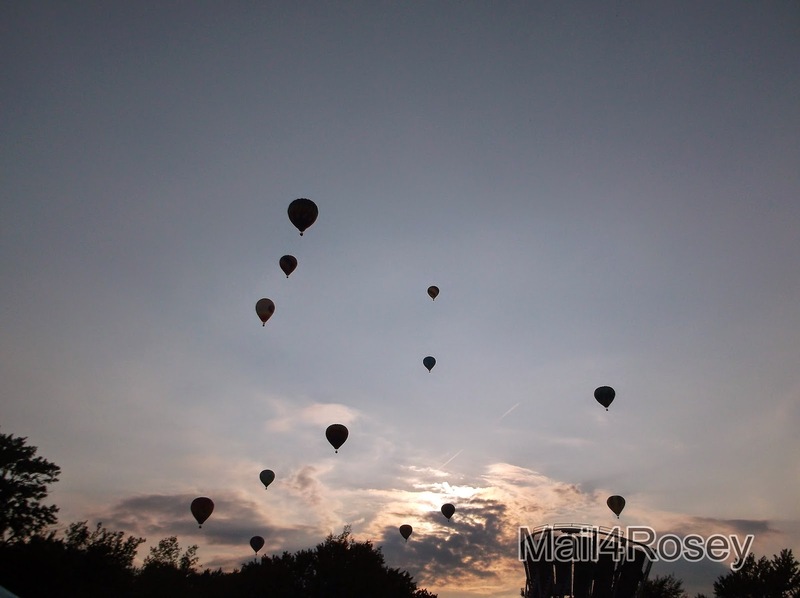 The last time I went to see the hot air balloons, they were rained out. I wasn't very happy since I love watching them. we have a similar event locally which i have been meaning to check out for a few years now. hopefully we can do it next week, am sure my little man will be thrilled at the site of the colorful + awesome huge balloons! That is awesome., I Have never seen a hot air balloon in real life.